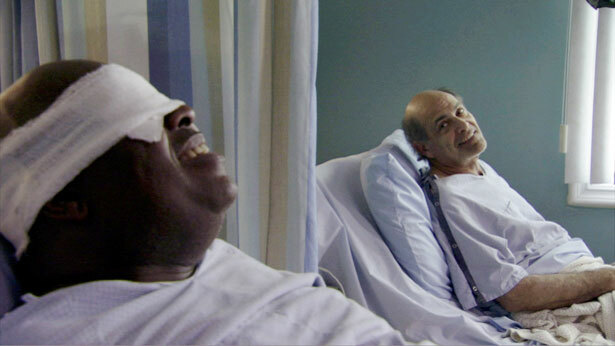 The Hospital Window: In 4 Minutes This Video has The Power To Change Your View For A Lifetime! The men talked for hours on end. They spoke of their wives and families, their homes, their jobs, their involvement in the military service, where they had been on vacation and other personal matters. Every afternoon, when the man in the bed by the window could sit up, he would pass the time by describing to his roommate all the things he could see outside the window. The man in the other bed began to live for those one hour periods where his world would be broadened and enlivened by all the activity and color of the world outside. As the man by the window described all this in exquisite details, the man on the other side of the room would close his eyes and imagine this picturesque scene. His smile was growing with every new piece of detail told to him. One warm afternoon, the man by the window described a parade passing by. Although the other man could not hear the band – he could see it in his mind’s eye as the gentleman by the window portrayed it with descriptive words. Days, weeks and months passed, and it became a daily routine.